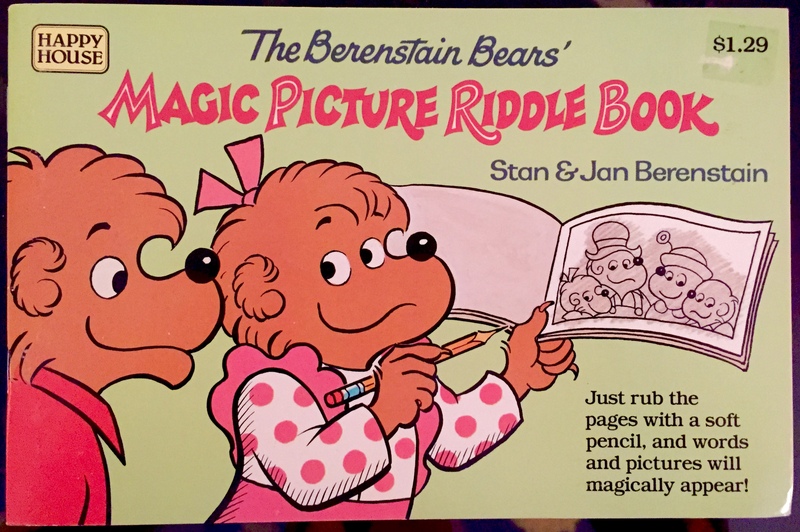 The Berenstain Bears’ Magic Picture Riddle Book (Random House, 1985), has become very hard to find. 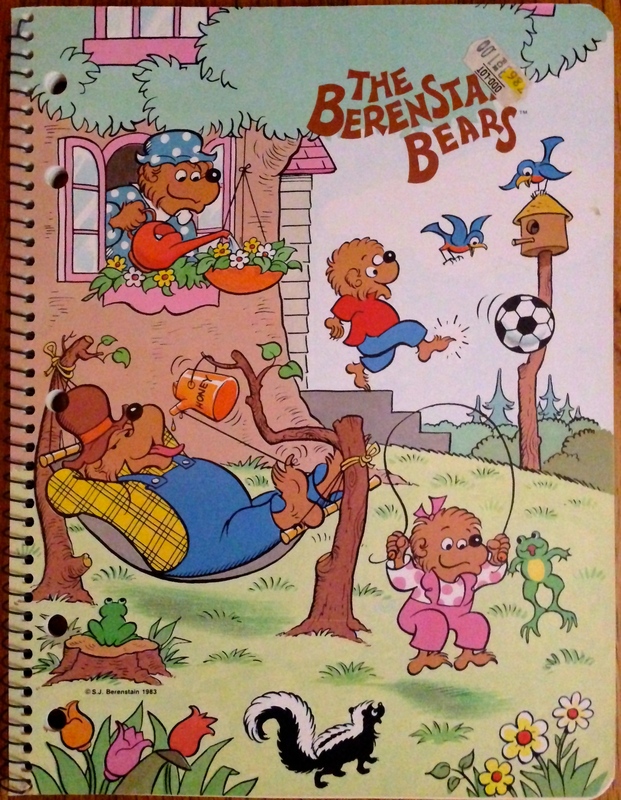 Several Berenstain Bears books and collectibles are very rare because they were produced in small quantities or were “consumable” books of stickers, activities, coloring pages, etc. 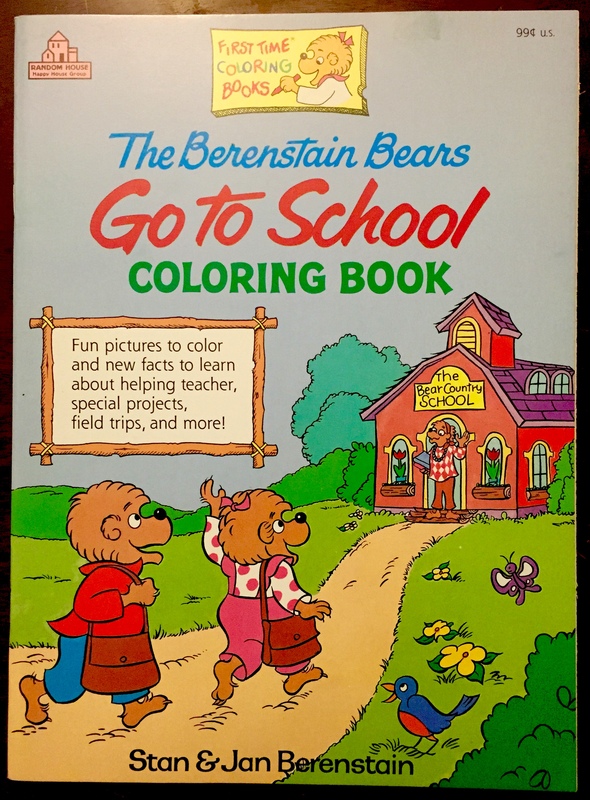 Listed below are the most sought-after Berenstain Bear books wanted by collectors. Do you have one of the rare books or items listed below? Send me an email if you’d like to sell! There are collectors who would love to add these items to their collections! And if YOU are a big fan or collector, be sure to join our Facebook group for Berenstain Bears Collectors! 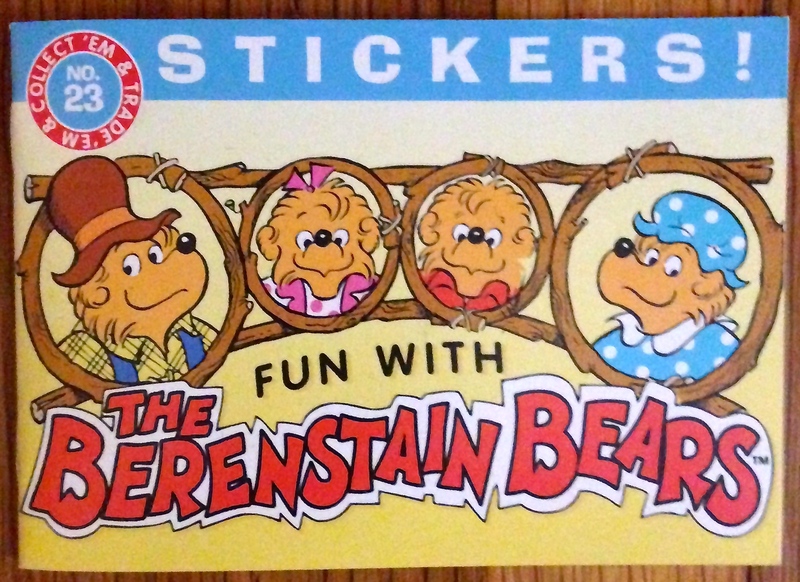 “Fun with Berenstain Bears” sticker book published by American Greetings (1998). Only the most serious fans have this one in their collection. 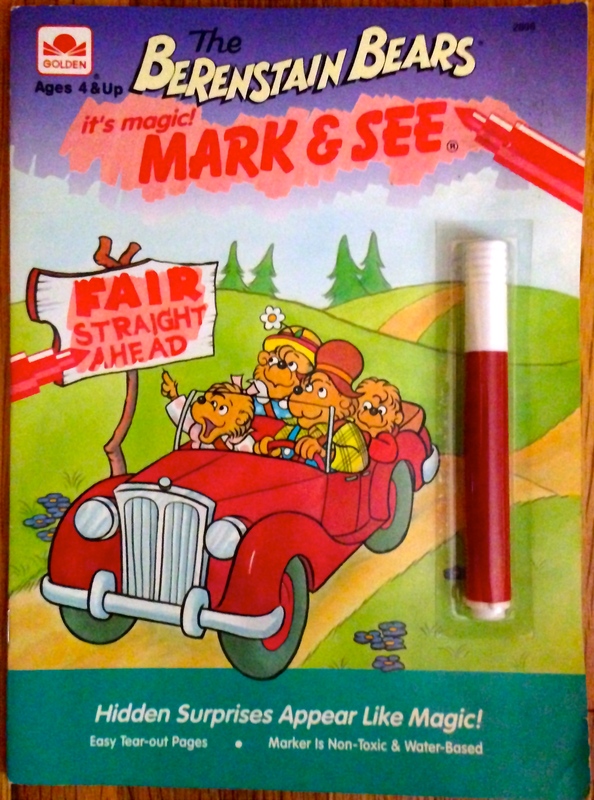 The Berenstain Bears: It’s Magic! Mark & See – a very unique book that has become extremely hard to find! 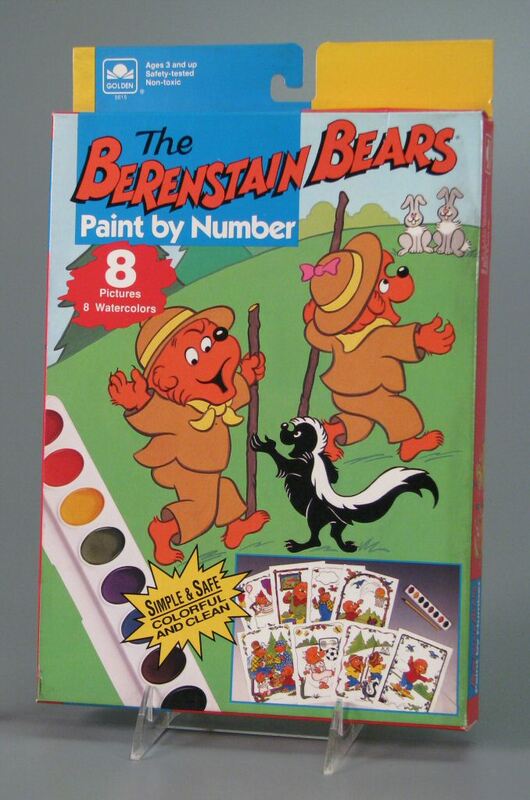 “The Berenstain Bears Paint by Number” (1992) activity kit (Golden #5615). Photo from the collection of the Strong National Museum of Play.